According to BreastCancer.org, 1 in 8 women will be diagnosed with invasive breast cancer during their lifetime. Breast Cancer takes away our mothers, grandmothers, sisters and friends and often leaves survivors struggling to heal physically and emotionally. Unlike many other cancers, however, Breast Cancer doesn't just affect our health and puts our lives at risk, it strikes at the core of our femininity* and reverberates through all areas of our life: relationships, work, and our enjoyment. This October we, once again, will put the spotlight on this disease and bring you the resources, useful information, and tips for reducing the risk of the disease, self-examination and monitoring to ensure early diagnosis and much more. *Though far less prevalent in males than females, breast `cancer does affect both genders. Learn about greatest factors that can increase your risks of getting Breast Cancer from www.BreastCancer.org. Download printable tip cards from Breast Cancer Fund. Use this handy infographic from iTriageHealth.come to learn how to conduct a self-exam or visit www.BreastCancer.org for a step-by-step self-examination guide. Those who’ve gone toe-to-toe with breast cancer know that even the smallest things can affect a shift in energy, spirit and healing. 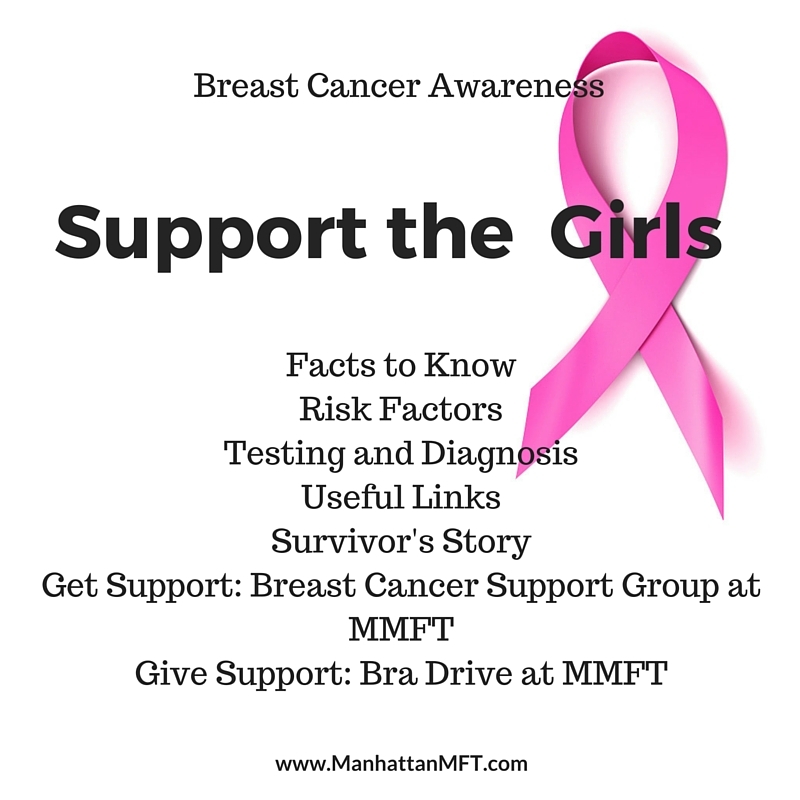 MMFT is proud to host a Bra Recycling Drive to benefit women-survivors of Breast Cancer and Domestic Violence. Donate your gently used and unused bras by sending them to Bra Recyclers.